There are times when you feel thankful for things that you did correct in your life. Joining the blogging community, i.e. 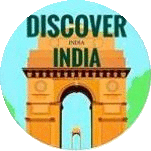 Indiblogger was one such decision that I took after contemplating for long and that has to go down as one of the wisest decisions that I ever made. 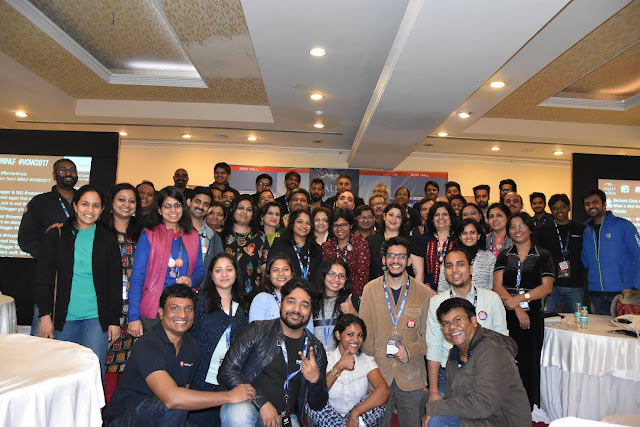 I hardly considered myself a blogger until I met some inspiring personalities on Indiblogger platform who started their journey just like I did. It was pretty inspiring indeed! And after hearing so much about the community and especially Indiblogger events/meet-ups, saying 'No' to it was never an option. I learned from people who shared their past experiences in the most insightful and interesting manner possible. 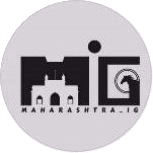 I attended my first Indi meet in February this year in Mumbai and O boy, it was one amazing experience! I don't know that when I'm going to attend the same in my city, Pune (as it seems the city is disowned by Indi team like a long lost child. Grrrr!). But I was still very excited to attend the events wherever and whenever possible. #BNLF came into picture with a grand announcement from the Indi team in the month of July. 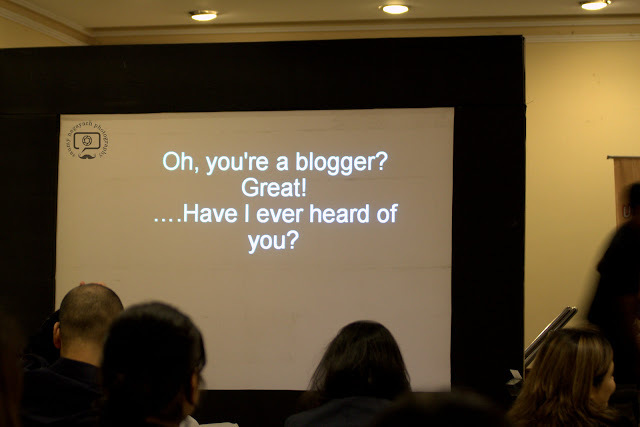 Blog Now Live Forever, a grand Meet-up of Indian Bloggers was first held at Mumbai (See, Indiblogger's affection for the 'Sapno ka sheher') in 2015. Since then, no other chapter was planned or executed until this year, in the month of November. It was held in Dehradun. 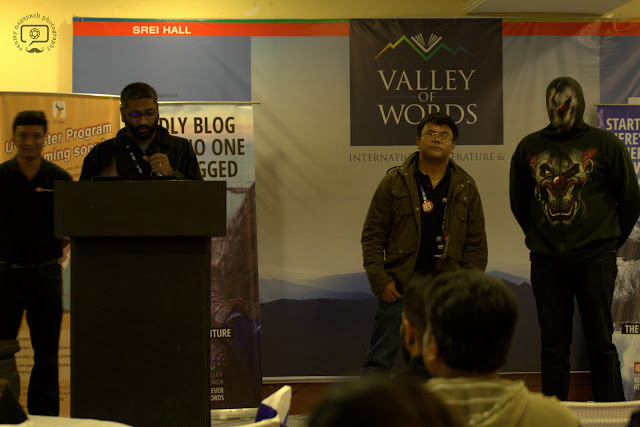 Around 70-80 bloggers came from different corners of the country. Such was the zeal and passion! 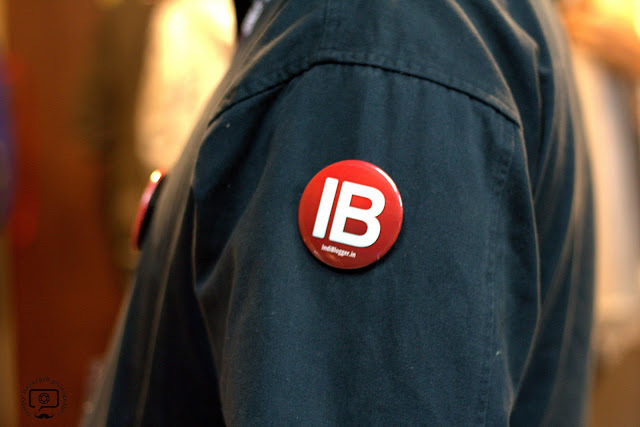 Bloggers developed a relationship with Indiblogger and among themselves over the years. For people who find it difficult to engage and interact with complete strangers, it's always a tough job, but when you meet like minded people it often becomes easy to make strong bonds. And the main motto of the meet-up was to connect and make friends from the virtual world. 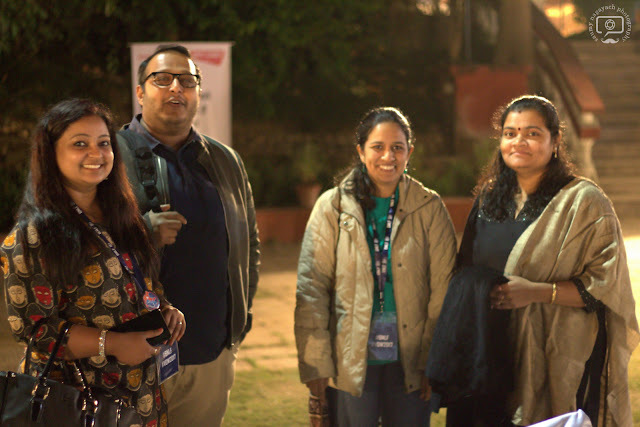 A few days before the meet-up, some of the bloggers whom I knew were coming to the event had connected over the Watsapp group for planning what all to do in Doon for 2 days. The feel of #BNLF was well settled in after the Diwali vacations. We all were discussing places to roam around in Doon and also what to eat and where to shop etc. It was like a trip that I was planning with my school/college buddies, but here the case was pretty different. Most of us were meeting for the very first time and had never spoken on the phone either. But the excitement was on another level! I started from Pune late at night around 1am and reached Delhi at 3am. My train from Delhi to Dehradun was at 6am in the morning. So, I took some rest at the Delhi airport and boarded the first metro at 4:30am to New Delhi station. It was my first Metro ride! I met a few friends from our Watsapp group at the station itself. We were traveling together but in different coaches. Later, we found out that even the Indiblogger team was in the same train. 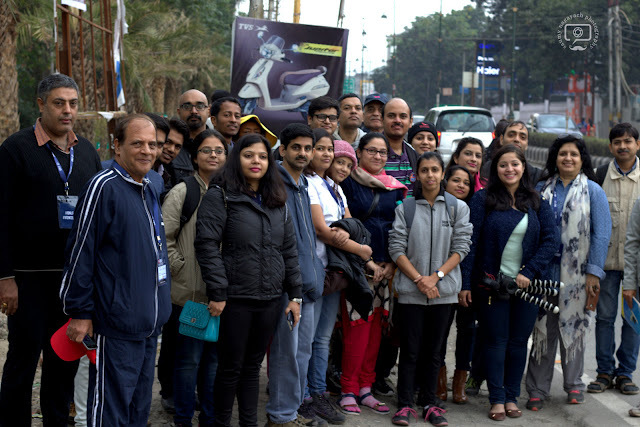 We reached Dehradun at 2 pm and registration for BNLF was scheduled to start at 5:30 pm. The excitement was on such level that even after a tiring ride; most of us reached the venue i.e. 'Hotel Madhuban' at 5pm. Though the registration didn't start on time, we all had a sorted agenda in mind to meet bloggers and get ourselves comfortable. I met a lot of bloggers whose blogs I read and have always admired their work. Also, when bloggers are around, you can never feel bored because everyone makes sense and talk sensibly. Even the age difference never appears to be a hurdle to interact with someone. It's like an ocean where you can reach out to anyone and have a nice little chat. 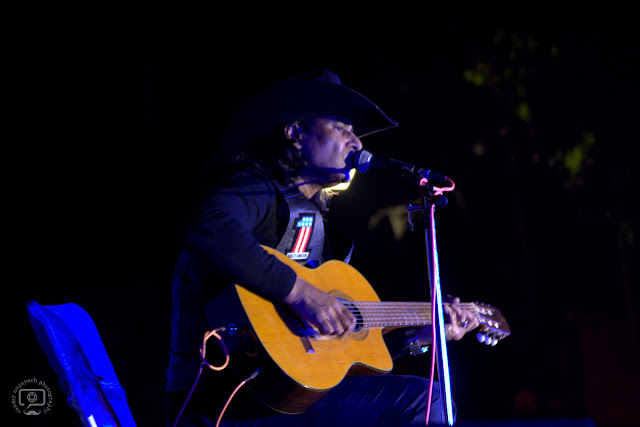 After the registration, it was time for a musical evening with Bobby Cash where he played the guitar and sang some beautiful English and Hindi songs. As soon as we finished the dinner, next on the agenda was to gather in a common hall for introductions and interaction. 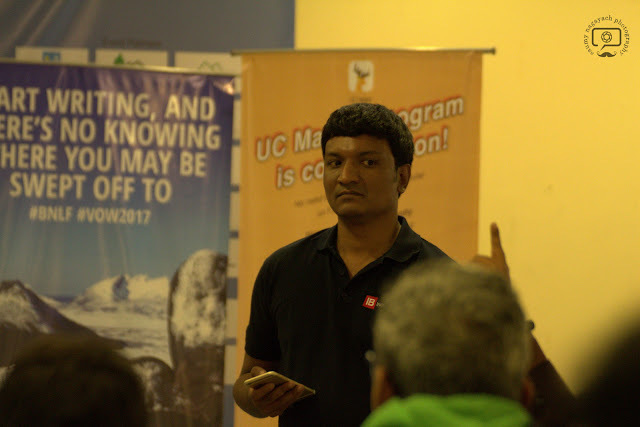 Anoop 'Breaker of Ice' (like Khaleesi 'Breaker of Chains') broke the ice in his usual witty style and made the atmosphere lively. For Indiblogger and us as its part, the camaraderie is what matters the most to each other. The love and warmth with which the Indi team treats each blogger is something beyond extraordinary. A lot was said during the event and people were criticized, but the Indi team dealt with everything in such Great Spirit that it left us in awe for their kindness. As soon as the introductions were finished, we left for our respective hotel rooms. Next day, we started at 6:30 am from our hotels to reach the venue for the next thing on agenda i.e. 'The Ruskin Bond Walk'. Whenever we talk about Dehradun, one name that flashes out straight in the mind is of Sir Ruskin Bond. Ruskin Bond lived in Dehradun for a good period and had mentioned a lot about his childhood memories of Dehradun and related stories in his books. 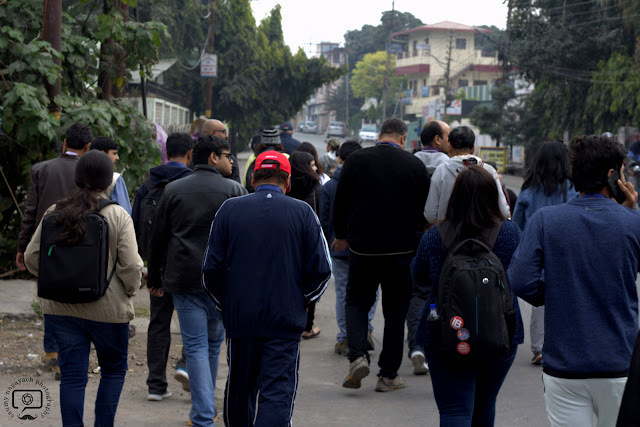 Indiblogger organized a walk for the bloggers with the 'Been There, Doon That' group that guided us to some of the places where Ruskin Bond have spent his childhood days. 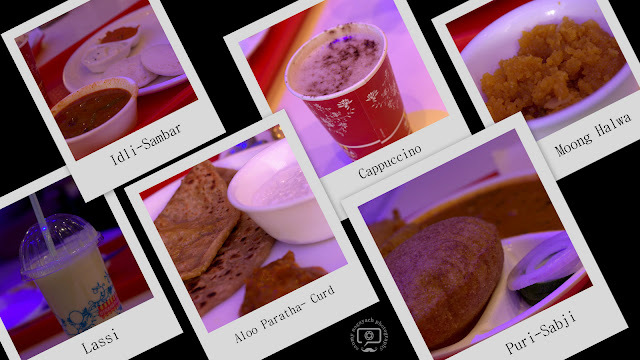 After a refreshing early morning walk on the streets of Doon, we joined the Indiblogger team at Bikanerwala for Brunch. O God! We bloggers were hungry! Damn hungry by then! We all ordered almost everything mentioned on the menu to fill our tummies. 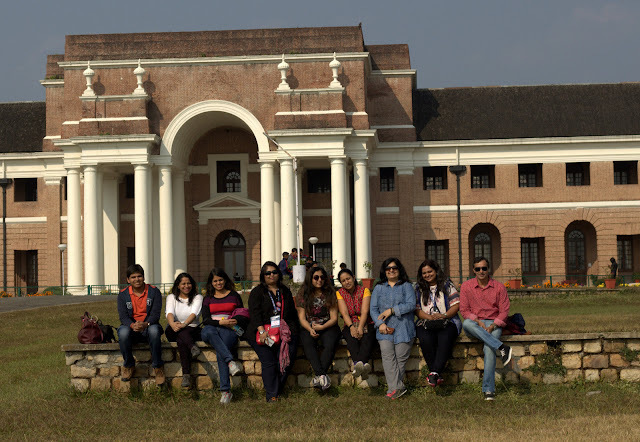 After the sumptuous meal, we all had free time till evening to explore Dehradun. Our WA group had already planned the itinerary well in advance. First place on our agenda was to visit the FRI (Forest Reasearch Institute) where many movies are shot. The architecture and unique museum were the highlights of the place. The British Architecture was quite significant and attractive. 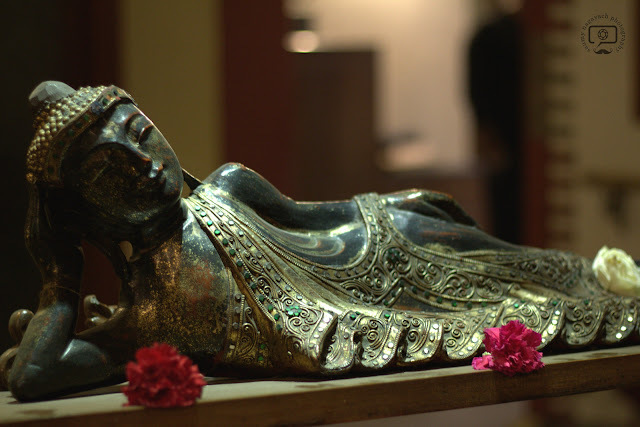 Because of the time crunch, we skipped a few museum galleries and headed to Mindrolling Monastery. I had already visited a few monasteries in Gangtok and Darjeeling before, but Mindrolling monastery was quite different than other monasteries. 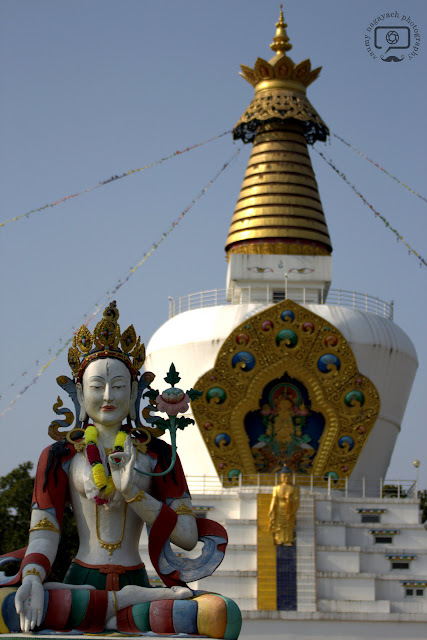 The huge architecture and a picturesque forest in backdrop with Prayer Wheels and Stupa is a perfect location for filming a Bollywood/Hollywood scene. 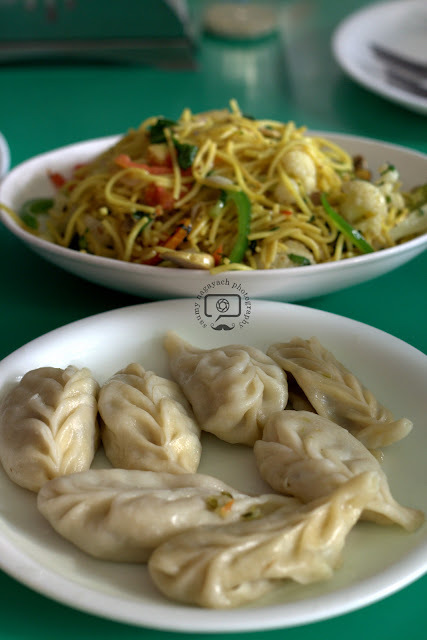 We spent some time at the monastery and had the famous Momo's of Dehradun in lunch. 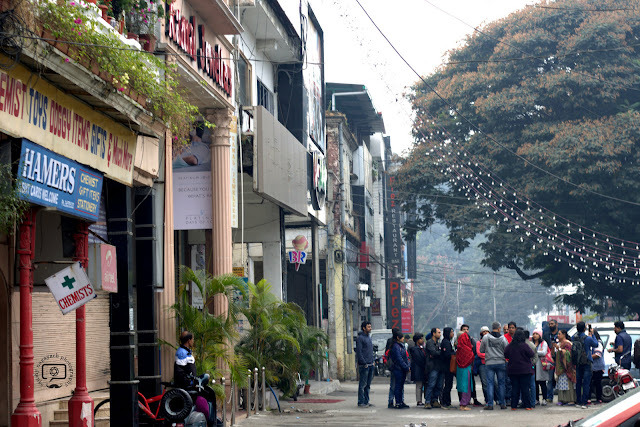 The next and final destination in our day's itinerary was Paltan Bazar for shopping. The bazaar was so crowded as if the whole Dehradun wanted to meet and greet us; instead they chose to push us. After a brief halt at Paltan, we left for our hotels to get freshened up for the evening event. 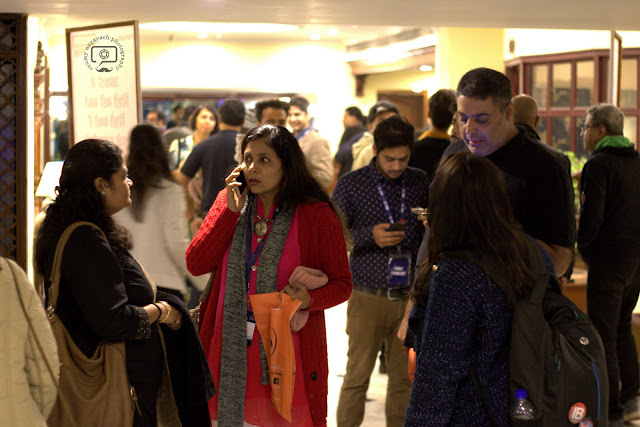 The #BNLF night officially started, but since there wasn't any set agenda on the chart, we chose to continue with all the networking and chit-chatting with friends we met a night before. 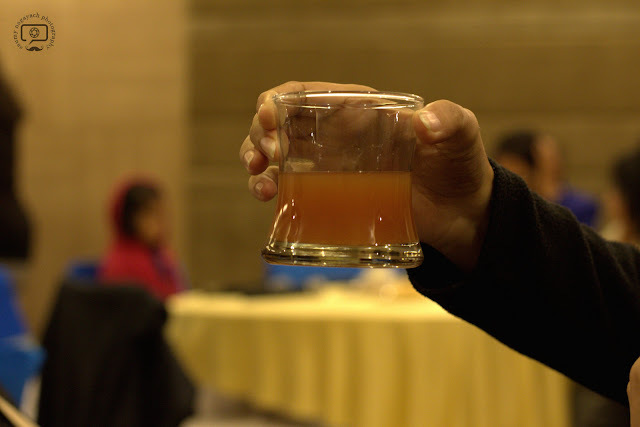 Every single person was busy interacting with others and discussing about blogging, personal life, sports, politics and blah blah...It was nothing short of a college farewell setup where people were reminiscing about their good and not-so great days. When people were having serious discussions, I planned to skip the 'Bade logon ki baatein' and preferred to click people around. As soon as we finished our dinner, we were asked to join other bloggers and Indi team to a hall inside the hotel. The event finally started with an intro to how Indiblogger and BNLF came into existence. A community that has more than 40k bloggers and the number is growing with each passing day. 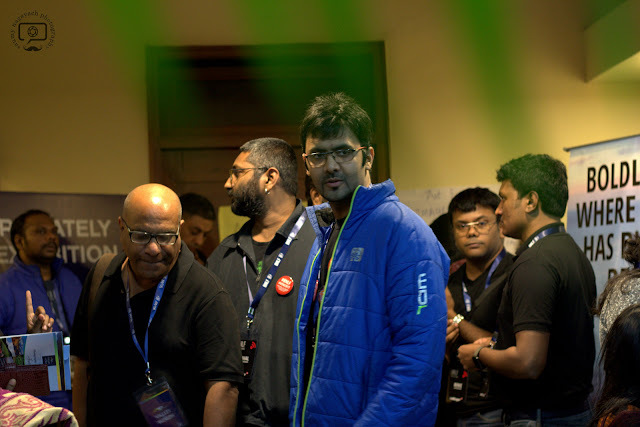 How the idea of building such a community was born and how the Indiblogger team made it BIG? All these facts were shared with the Indi Tribe. Soon after the Introduction, we were engaged in blogging-centric debate and some fun activities. We didn't even notice that when the time had passed and the event came to an end. It was already 2am and everyone was awake. After an enthralling two days in Doon, it was time to bid adieu to everyone. Though we had to leave the memories of those two days had imprinted in our hearts for a lifetime. I never thought of making so many wonderful friends and memories for a lifetime; it all actually came as a bonus. Also, the experience of meeting new people and sharing great insights about blogging, life and work filled me with positivity. I will cherish all the memories of this trip forever! Aww.. Your post brought back so many memories, Saumy. It was great meeting you and thanks for the photography tips. You are a pro! Keep blogging. Keep inspiring. Firstly, a huge congrats on the century!! Yayy!! You've come a long way haven't you?! Your blog has reached out to so many people and you as a person are a treasure to the blogging community, ever cheerful, encouraging and helpful. Loved your vivid narration of your bnlf experience. Your photography of course speaks more of your brilliant skill with it. You captured the most natural and candid pics. It was a great experience for all of us and I am glad we got to meet and spend some time. My best wishes to your blog again and hope this century will motivate you to reach bigger milestones in the coming days. Great write up, Saumy! Quite like a re-visit! Meeting bloggers in "offline-world" or face to face as we usually term it is always great. That is something I always look forward to! Hope to see you in next bloggers meet! Hey Saumy, such a nice post and the pictures are so good. No wonder you carry that camera everywhere you are a real shutterbug. All the memories are back. Congrats again on the century. Congratulations on writing and publishing 100 blog posts. That’s a great accomplishment, and how generous of you to celebrate it in such an inspiring way. YOU are an inspiration to the blogging community. God bless you and keep up your good work. A post written really well. And the pictures are mind blowing.could not interact this time. But good to be part of something as grand as this one. Congratulations on the century. Congrats Somu on the 100th post :-) I feel over joyed that I got to see it first before any one else could! Well that said, it is quite evident that I missed all the fun...sigh! Hopefully I can make it possible some other time...As always I loved the clicks some of the candid shots are awesome! Yay Saumy... so thrilled to be featured in your blog buddy!!!!!! Loved the event and awesome clicks from your camera.. More such events, and more fun meetings, cheers! Congratulations on your 100th post! 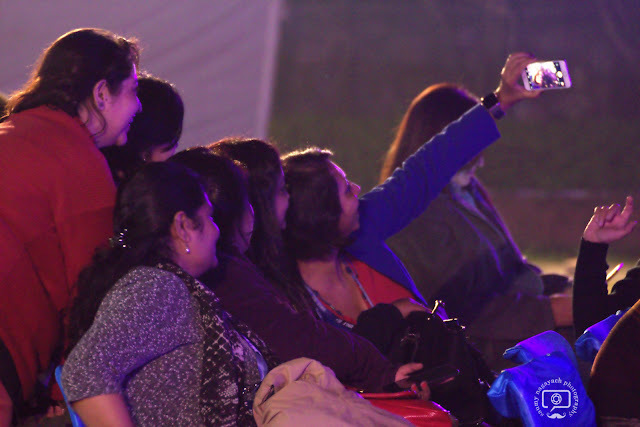 You have captured great moments at #BNLF through words here and photos (await to see them all). Was wonderful meeting you. Happy blogging and stay connected. Congratulations for your 100th blog post! Attending the BNLF Dehradun was a great experience and you've simply captured those moments both in words and pictures quite well. Keep blogging! Amazing...it was really very nice to go through your experience in BNLF. 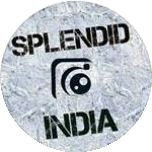 Let's connect and motivate each other..
A novice photographer,an enthusiastic blogger and an IT Engineer by profession. I love to click pictures and thru that I always try to observe people and things around me. 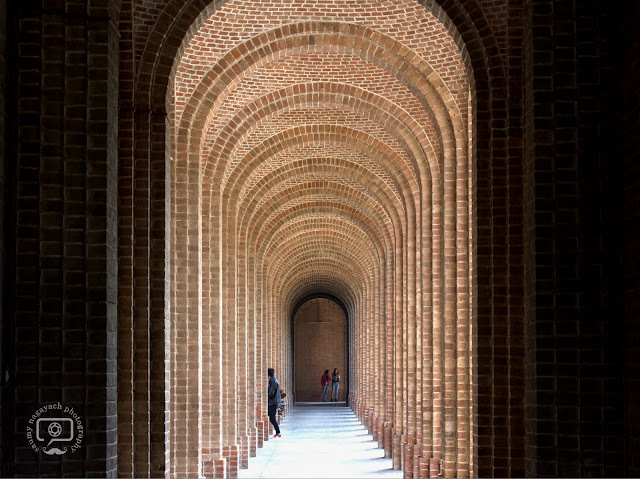 Besides that, I also like to pen my travel experiences and share my pictures with perspective theory. Also, when in bad mood, I love to write poems to distract my mind. I do feel that sadness brings out the creativity in me. Cricket is something that I religiously follow and love to the core. A new year, a new beginning ! Copyright © Saumy Nagayach. Awesome Inc. theme. Theme images by sebastian-julian. Powered by Blogger.